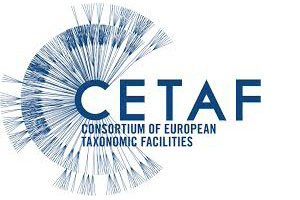 In July 2018, the scientific collections of the members of the Consortium of European Taxonomic Facilities (CETAF) were included in the European Strategy Forum on Research Infrastructures (ESFRI) under the name Distributed System of Scientific Collections (DiSSCo). 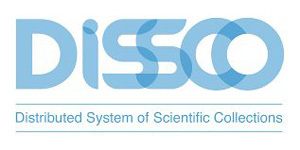 Participants in the DiSSCo initiative are 115 museums and other institutions from 21 European countries preserving significant natural science collections. This is the beginning of the implementation of a 12-year program of four consecutive projects aimed at integrating collections, introducing a single regulation on storage, development and use, as well as digitisation of collection units. The National Museum of Natural History (NMNHS) and the Institute of Biodiversity and Ecosystem Research (IBER) at the Bulgarian Academy of Sciences are members of the Consortium of European Taxonomic Institutions CETAF (www.cetaf.org) since 2014. The consortium brings together natural science museums and scientific institutes that maintain scientific collections of living and non-living nature and conduct research based on them — a total of 59 institutions from 21 European countries. The total wealth of the CETAF members' collections is estimated at 1.5 billion specimens and represents more than 80% of the world's biological collections. In addition to purely scientific significance, the implementation of this program will allow for full service by European scientific collections and a number of practical activities — biodiversity conservation, management of sustainable use of biological resources, environmental quality assessment (biological monitoring), combating pests in agriculture and forestry, some aspects of health care, the tourism industry, etc. The NMNHS-BAS collections, which are mostly stored in the main building in Sofia, but also in the paleontological branch of Asenovgrad, are estimated at about 1.5 million units. These contain mainly zoological collections from around the world — non-insect invertebrates, entomological, ichthyological, herpetological, ornithological, theriological samples. They also include a paleontological collection — here is one of the largest collections of fossil birds in Europe and one of the richest in Eurasia collections of Pikernian fauna, mineralogical collection with almost 1/3 of the mineral species in the world, and a herbarium. IBEI-BAS stores more than half a million collection units, including the largest and most representative herbaria for Southeastern Europe and the unique for the region mycological, paleontological and palinological collections as well as a significant zoological collection. The beginning of these scientific collections dates back to the end of the 19th century and their development is the result of the efforts of many generations of Bulgarian naturalists. A substantial improvement of the infrastructure (physical and digital) to store these collections was achieved through the CEBDER — Development of National Centre of Excellence in biodiversity and ecosystem research (funded by the Scientific Research Fund, 2009—2012, www.ecolab.bas.bg/cebder/, in which IBER and NMNHS were the main contractors. 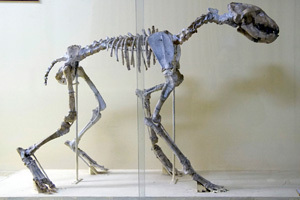 The first digital database of the most valuable specimens ('type specimens') stored in the Bulgarian scientific collections, which includes more than 1,800 records, was also made within this project (www.nmnhs.com/e-natura/types-bulgaria/index_bg.php). In the same time the accompanying scientific infrastructure for morphological and molecular-genetic research has been developed. 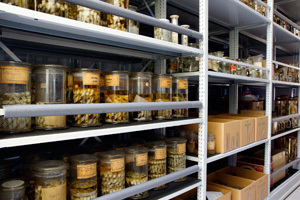 By means of targeted funding by the Ministry of Education and Science in the NMNHS, the conditions for the preservation of some major collections were further improved. This development allowed the two major Bulgarian institutions to be accepted as equal and full partners in the CETAF consortium.